[Jakarta, LTTW] Krakatoa was one of the super volcanoes of the world in the same line with other “giants”, The Yellowstone & the Long Valley caldera in US, The Aira caldera in southern Japan, The Taupo caldera in New Zealand and Glen Coe in Scotland. Super volcano is a volcanology term used to describe a bigger scale of volcano that has a significant amount of magma and potentially produces eruption larger than 1,000 km3 in volume. Indonesia has three super-volcanoes, standing majestically among hundreds of volcanoes that span across Indonesian archipelago. The three super volcanoes are Toba caldera, Tambora and the Child of Krakatoa. Approximately 73000-75000 years ago, Mt. Toba exploded before it turned into a gigantic lake, known today as the Lake Toba. In 1815, Tambora erupted, spewing hundreds cubic kilometer of volcanic debris and its effect transformed the climate globally for years. Not only that, In 1883 similar explosion also happened on Indonesia’s Sunda Strait (Selat Sunda) on which Mount Krakatoa stood tall. 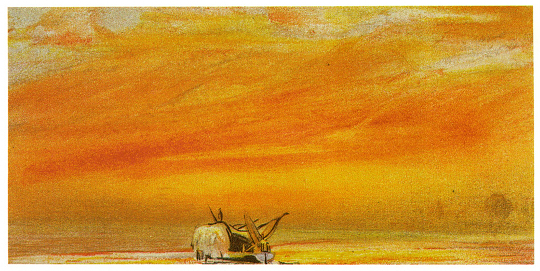 The explosion of Krakatoa generated dark sky that reached as far as Europe and eventually changed the global climate. 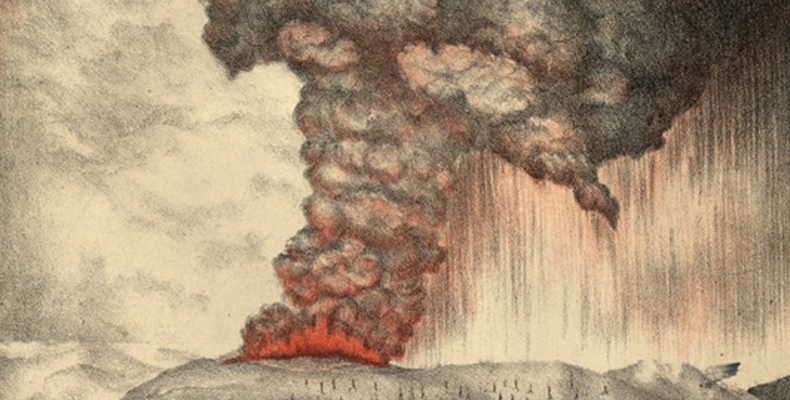 Mt Krakatoa explosion also gave birth to a new volcanic offspring called the Child of Krakatoa. Although the presence of volcanoes on this earth are considered as a threat by some of people, there are unexpected benefits that we gained from volcanoes. Mt. 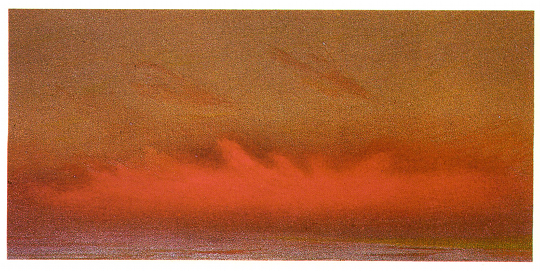 Krakatoa explosion, for example, brought about specialized field of study called volcanology, and it has been a muse for artists and writers to create their arts. Departing from this point of view, LttW presents this article that shows a number of committed individuals, observing & spending their lives studying volcano impacts. 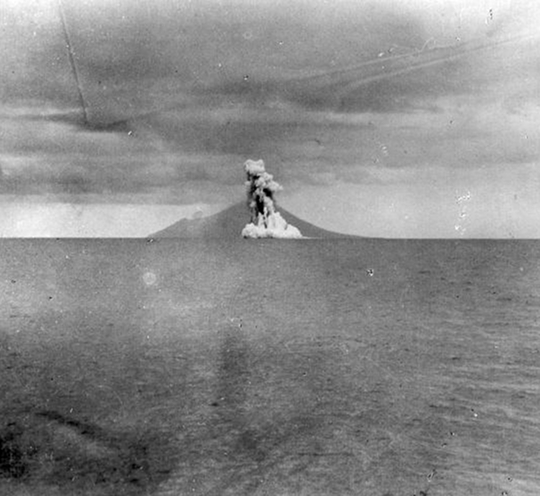 Photograph taken in 1928 of the destroyed Krakatoa island resurfacing, forming what is known now as ‘Anak Krakatau’, or ‘Child of Krakatoa’. Tropenmuseum of the Royal Tropical Institute (KIT). 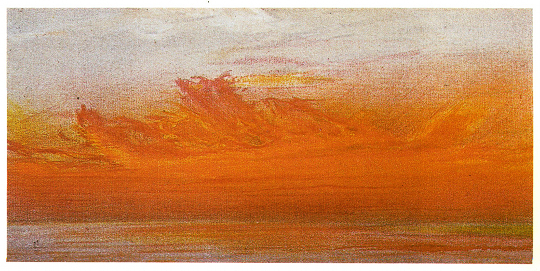 Three of the hundreds of sketches carried out by William Ascroft in the winter of 1883/4 – used as the frontispiece of The Eruption of Krakatoa, and Subsequent Phenomena: Report of the Krakatoa committee of the Royal Society (1888), ed. by G.J. Simmons. The Art of Science: A Natural History of Ideas (2011), by Richard Hamblyn. 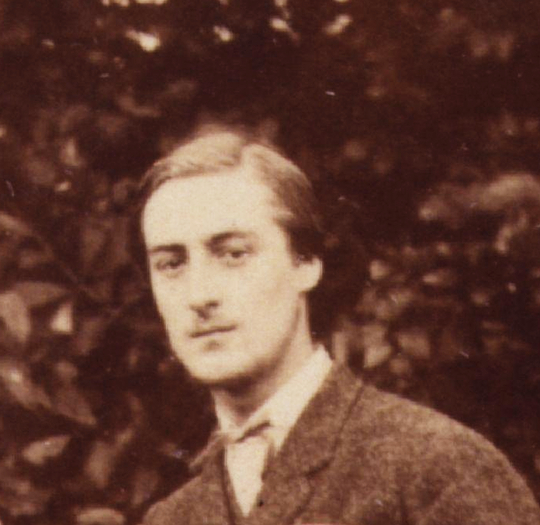 Gerard Manley Hopkins and the Victorian Visual World (2008), by Catherine Phillips. I wonder…If i found myself in the middle of “weird” sky… What would i do? Such a shame though, vulcanology born in Netherlands, not in Indonesia.